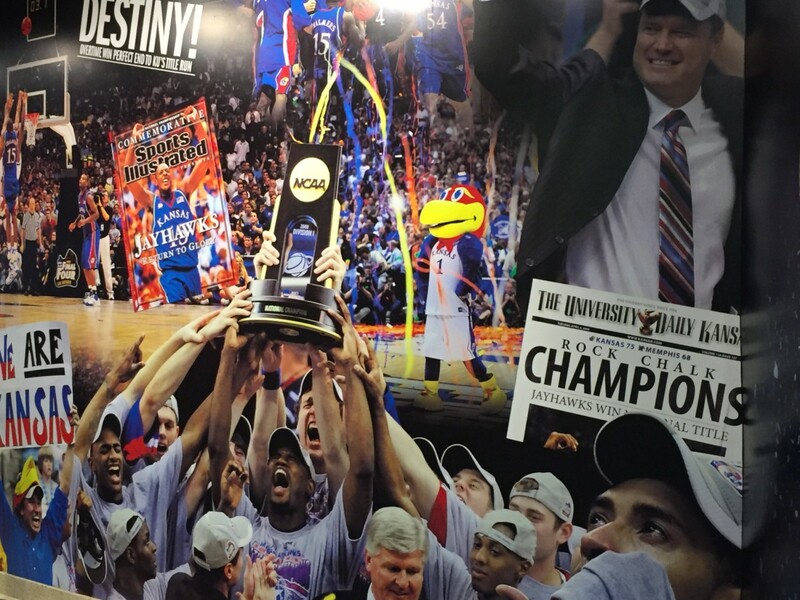 Who will be the next Jayhawk to win an NBA title? When the NBA’s 2018 regular season began, there were 16 Kansas alumni on the league’s opening day roster. That’s the third-most from any college in the country, behind Kentucky (25) and Duke (20). Former Jayhawk Nick Collison made the dance, and at 36, Collison is the oldest player from Kansas to make the 2018 postseason. Collison was part of the Jayhawks’ Final Four teams of 2002 and 2003 and he is playing in his 15th season with the Oklahoma City Thunder. The second-oldest Jayhawk in the NBA playoffs is Cole Aldrich of the Minnesota Timberwolves. The 6-foot-11 center has bounced around the league and is playing for his sixth NBA team. He is making his third playoff appearance but hasn’t played major minutes for the Timberwolves. Aldrich’s Minnesota teammate, Andrew Wiggins, has played a big role for the Wolves in their playoff campaign. Wiggins was Kansas’ most heralded one-and-done freshman when the Cleveland Cavaliers selected him with the No. 1 overall pick in 2014. After winning Rookie of the Year in 2015, Wiggins averaged 20 points in the next three seasons and along with Karl Anthony-Towns, he is one of Minnesota’s young cornerstones. The youngest Jayhawk in the 2017-18 playoffs in Cheick Diallo of the New Orleans Pelicans. 2016 was a lean year for the Jayhawks, as it was the first time since 2009 that no Jayhawk was selected in the first round of the NBA Draft. Diallo, picked 33rd overall, was the only player from the University of Kansas drafted in 2016. Twin forwards Marcus Morris and Markieff Morris of the Boston Celtics and Washington Wizards respectively, were the top two players in scoring and rebounding when as juniors, they led the Jayhawks to the Elite Eight. They’ve since gone their separate ways in the NBA. Marcus has played a big role for the injury ridden Boston Celtics as he’s averaged 16.2 points per game after the All-Star break. With Kyrie Irving out for the season, Morris has helped provide them with some much-needed scoring in the playoffs. Twin brother Markieff is also a key starter in Washington. Although the Wizards faced a tough task of beating the top seeded Toronto Raptors in a hard-fought first round and potentially the Cleveland Cavaliers in the second, there is a possibility (no matter how slim) that he and Marcus could face each other in the Eastern Conference Finals. Markieff is not alone in Washington. Teammate Kelly Oubre was acquired in a draft night-trade from the Atlanta Hawks. Picked 15th overall in 2015, Oubre’s unique skill set has made him a valuable piece for the Wizards. He’s doubled his scoring average after every season his played and continues to develop into one of the most versatile young wings in the NBA. The former Jayhawks who have the best hopes of winning the NBA title this year are Tarik Black of the Houston Rockets and Joel Embiid of the Philadelphia 76ers. Black signed with the Rockets in the offseason after three seasons with the Lakers, and he couldn’t have done so in a better time. The Rockets had the NBA’s best record at the end of the regular season and by virtue of that, home court advantage throughout the playoffs. The Rockets also had the second-best odds to win the Western Conference at +105 (according to Betway odds as of April 14, 2018). And if all goes well, he has the best shot at being the first Jayhawk to win an NBA title since Brandon Rush in 2015. It took Joel Embiid 948 days to finally play his first NBA game. But it was worth the weight, and it was worth trusting The Process. The third overall pick in 2014 became an All-Star starter in his second season. Embiid’s Sixers are the third seed in the East. 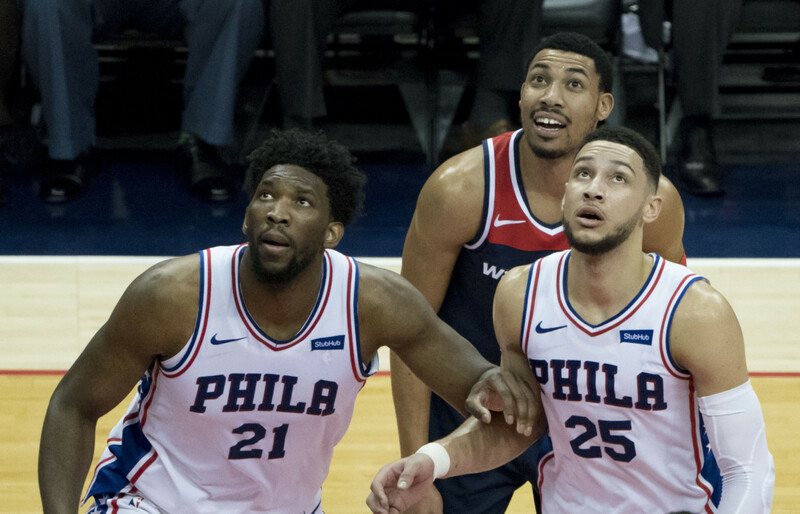 While Embiid missed the beginning of the playoffs with an orbital bone fracture, his team has been playing great basketball behind rookie sensation Ben Simmons, and after Embiid’s return, the Sixers eliminated the Miami Heat in five games. 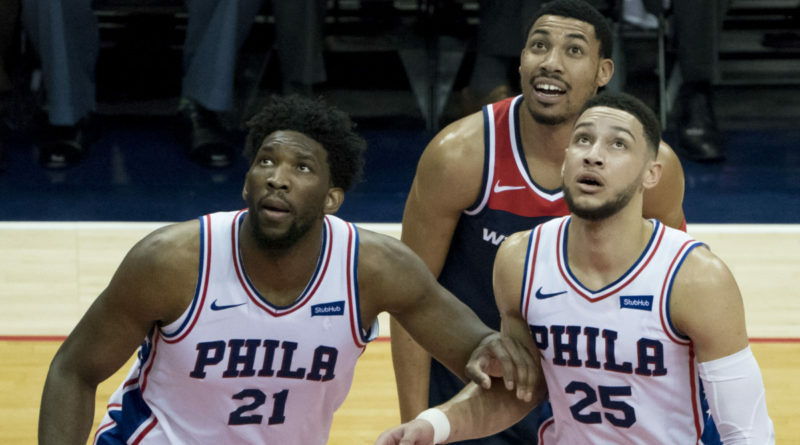 Now the Sixers look ahead to the winner of the Celtics-Bucks series, holding on to a good chance that Philadelphia could go deep in the playoffs. Next to Tarik Black’s Rockets, Embiid could have the next-best chance at being the next Jayhawk to have an NBA championship ring. 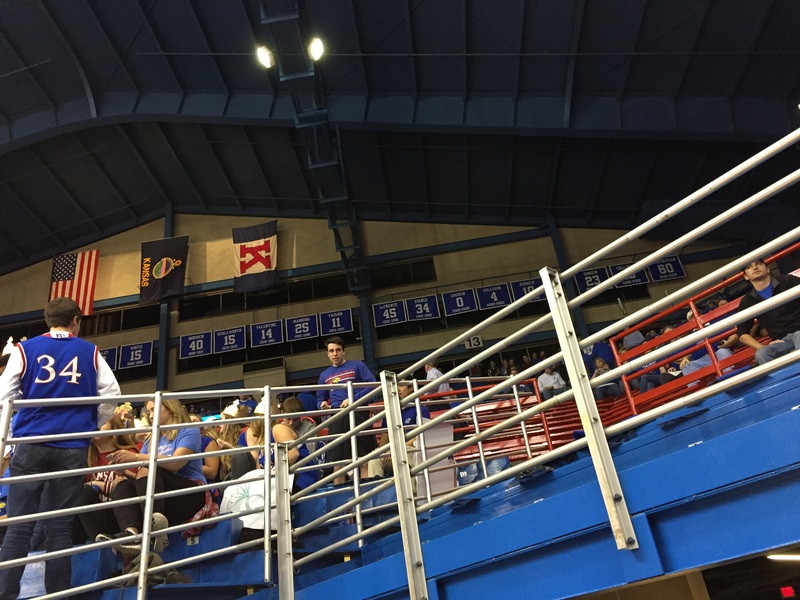 ← What was happening to Kansas football during the Final Four run? 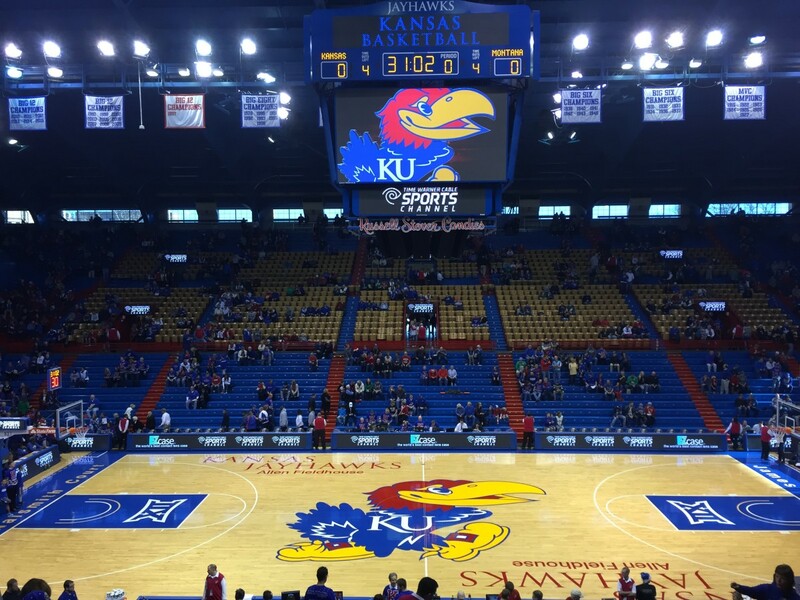 The Big 12 Player of the Year race: Frank Mason or Josh Jackson?